"I kinda like this one, Bob. 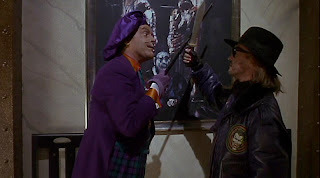 Leave it," The Joker (Jack Nicholson), to Bob the Goon (Tracey Walter), choosing to spare one particularly gruesome painting after a mad spree of defacing works of art at the Gotham City museum, as Prince's "Partyman" plays on a thug's boombox, during a famous sequence in Batman, the 1989 film directed by Tim Burton. Permeated by tormented visions of humanity, Francis Bacon’s paintings embody the ethos of the postwar era. Beginning in the late 1940s, Bacon created a series of works modeled on Diego Velázquez’s Portrait of Pope Innocent X (1649/50), in which he transformed the celebrated masterpiece into grotesque, almost nightmarish compositions. In this version, he replaced the noble drapery framing the central figure with two sides of beef, directly quoting Rembrandt van Rijn and Chaim Soutine’s haunting images of raw meat. 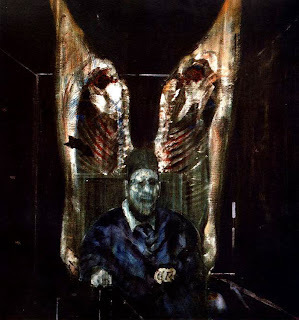 By linking the pope with these carcasses, Bacon allowed the viewer to interpret the pope alternately as a depraved butcher, or as a victim like the slaughtered animal hanging behind him. (Internal links added). 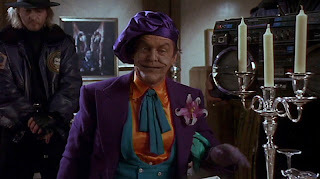 No wonder the Joker saved the painting from destruction. Inspired to paint by Picasso, Bacon was a painter of grisly images. How to describe his ouevre? Writes Steven Litt of the Cleveland Plain Dealer: "His paintings of screaming popes and caged businessmen - icons of the modern age - seem to flay the skin off their subjects and mold flesh like raw clay. 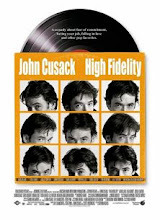 His portraits lacerate foreheads, crush cheekbones, warp eyes and lips out of alignment and transform torsos and limbs into pretzels of twisted meat." Bacon appropriated the famous portrait, with its subject, enthroned and draped in satins and lace, his stare stern and full of authority. In Bacon's version, animal carcasses hang at the pope's back, creating a raw and disturbing Crucifixion-like composition. 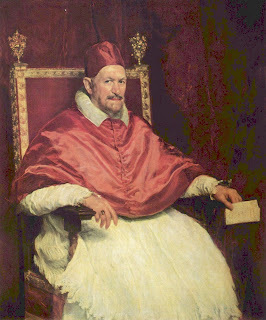 The pope's hands, elegant and poised in Velázquez's version, are rough hewn and gripping the church's seat of authority in apparent terror. His mouth is held in a scream and black striations drip down from the pope's nose to his neck. It's as if Bacon picked up a wide house painting brush and brutishly dragged it over the face. The fresh meat recalls the lavish arrangements of fruits, meats and confections in 17th-century vanitas paintings, which usually carried subtle moralizing messages about the impermanence of life and the spiritual dangers of sensual pleasures. Sometimes, the food itself showed signs of being overripe or spoiled, to make the point. 1. Dorothy Shinn, "85 Drawings at Oberlin Mark Ohio Son's Return; Jim Dine's Portraits, Figure Studies and Pastels in 40 year span on Display," Akron Beacon Journal, June 26, 2005. 2. Mary Louise Schumacher, "Screaming in Paint," Milwaukee Journal Sentinel, January 27, 2007. 3. Colin Dabkowski, "The dark side: An Albright-Knox exhibit of Francis Bacon's paintings provide a chilling study of the violence that seemed unending in the 20th century," Buffalo News, May 8, 2007. Great post. Francis Bacon's work looks like the minds eye of the Joker. 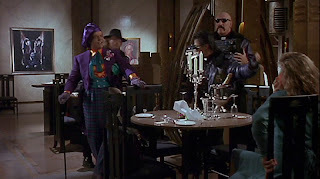 You know, when I saw that painting in "Batman" in the theaters (I believe I was twelve), I mistook Bacon for the artist I now know to be Marshall Arisman. 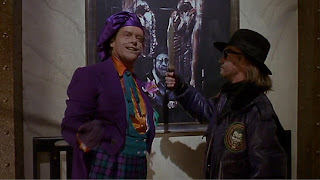 I recently interviewed him at Crappy Indie Music: The Blog, and any of Arisman's work could easily have stood in for that painting... or the Joker's mind, for that matter. 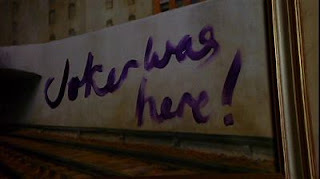 His "Gotham" connection would have made it even more appropriate. Great piece on Bacon, tho! This article is defnitely MEAT Clown Approved! We might just have to do a "Bacon" themed advertisement now. Seriously. Thank you for the inspirado!